Slammers believes that there are multiple elements within the game of baseball that if exposed and improved upon can dramatically affect the future of each ballplayer. Sports Performance is the execution of an action or goal as it pertains to a particular sport, and Slammers commitment to the excellence of baseball and softball has lead us to partnering with the best in the business. Programs at Slammers are conducted by the Health Performance Institute (HPI) and lead instructor Mike Gaynor (pictured far right). Mike was named the assistant pitching coach for Coe College in the Fall of '08. He then coached high school baseball out in Littleton, Colorado for one season as the head freshman baseball coach for Littleton High School. Mike has now been coaching Slammers-Coyote since late 2012. His teams have won 9 tournaments, back-to-back MSBL Elite Division champs ('13-'14) and qualified for Nationals in 2015. 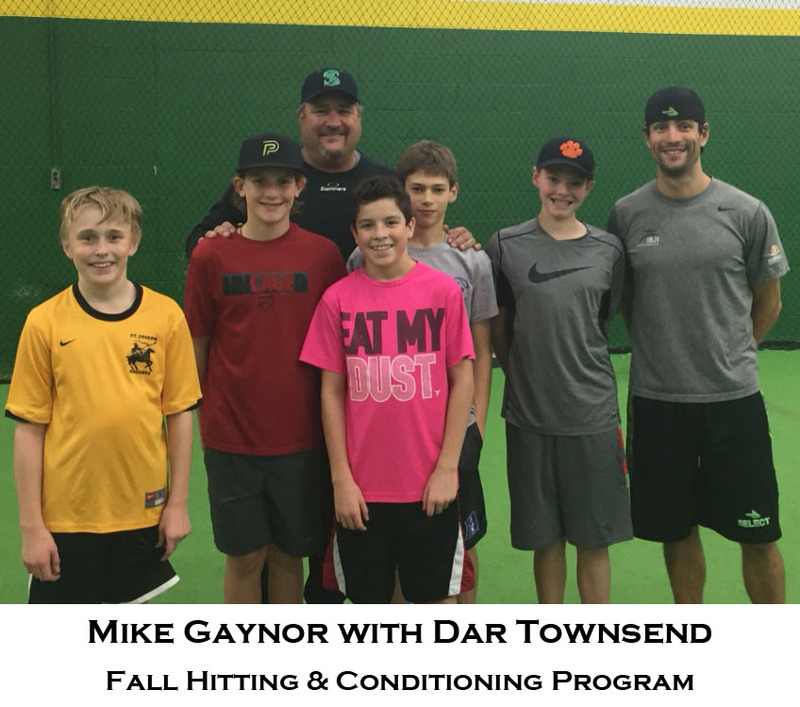 Mike currently coaches 14u Slammers-Coyote as well as conducts the off-season strength/speed/conditioning program for the teams at all program levels & offers individual training sessions. Health Performance Institute along with their brand new state-of-the-art performance center in Highland Park brings Slammers a partnership that includes the full package. Slammers ex-Major League coaches with professional athletic trainers, doctors and physical therapists that allows Slammers access to most complete training package allowable.